Climate controlled trolly tour that presents a great overview (and vistas) of Annapolis and the United States Naval Academy. (1774) is said to have the most beautiful doorway in Colonial America. The last project of the renowned architect, William Buckland, this National Historic Landmark contains an outstanding collection of John Shaw furniture and Charles Willson Peale paintings. The best place in Annapolis for java, beer, sandwiches, email, books, conversation, and fun. 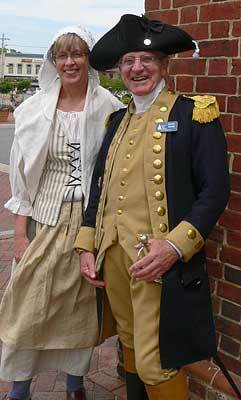 The place to learn about history in Annapolis. They have two floors of exhibits about Annapolis history and a fantastic view of city dock from the third floor windows. Admission is free! The best attraction for children and families in Annapolis. An unforgettable experience aboard the pirate ship, Sea Gypsy in the Annapolis Harbor. Sail aboard a magnificent 74' schooner for your next event or celebration. 49 guests, full beverage bar. 2 hour public sailing cruises in the Chesapeake Bay. Offerring segway tours and training -- glide through town and through Annapolis history. 90 minute town safaris are offered. Segway instruction included. Safaris are also offered in Baltimore and DC.